Valparaiso University recently announced that former Northern Illinois University pitcher Brian Schmack has been named the 17th head coach in Crusader baseball history and just the sixth since 1946. Schmack pitched for the Huskies from 1992-1995. 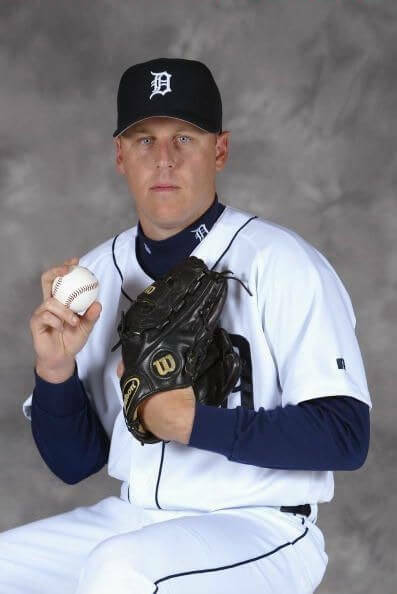 Schmack pitched in professional baseball from 1995-2004 in the Chicago White Sox, Texas Rangers, and Detroit Tigers organizations after breaking in with the Newark Bison of the Frontier League. In 2003, Schmack earned a promotion to the major leagues with the Tigers, appearing in 11 games and posting a 1-0 record with a 3.46 ERA. He earned his first major league victory against Cleveland on September 2, 2003. Schmack hosted the 2004 NIU Leadoff Banquet, the annual baseball fundraising dinner. Schmack has spent the last seven seasons as Valpo’s pitching coach, shaping the pitching staff into one of the best in the Horizon League, molding a staff with an ERA of 5.73 in the year before his arrival into one which has led the league in ERA each of the last three seasons, posting marks below 4.00 all three years. Schmack and his wife, Cari, have three children, Kyle born in 2001, and twins Ella and Riley born in 2004.